Professor Karava teaches architectural engineering and is a member of Purdue’s Center for High Performance Buildings at Herrick Laboratories. Her research interests are broadly related to smart building technology and sustainable energy systems. Specific topics include: human-building interactions, self-tuned thermal and visual environments, mixed-mode and solar-optimized buildings, and smart and connected energy-aware communities. Dr. Karava has built collaborative initiatives and partnerships to pursue interdisciplinary research with significant impact. 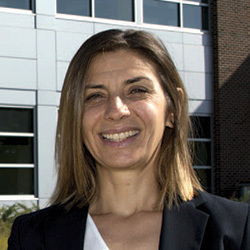 One of her most recent projects funded by the National Science Foundation involves sociotechnical research to foster energy-aware communities enabled by new smart technology and cloud data accessibility.